Allen Lamacz plays the dynamic role of the legendary guitar icon, Mick Mars. Mick Mars was always the quiet one of Mötley Crüe, however, Mick has just simply always let his unbelievable guitar playing do all the talking! The development of Allen’s unique style is the result of a lifetime of musical influence. 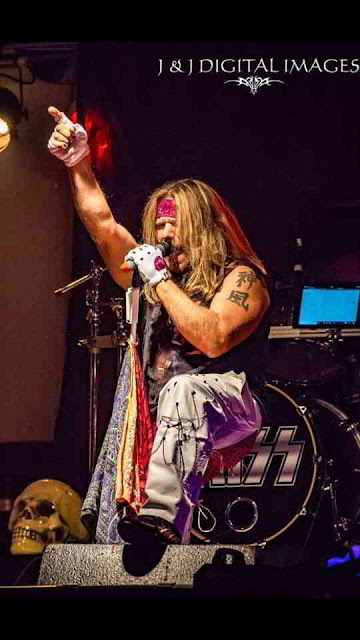 Growing during the 80’s hair band days, he was heavily influenced by the 80’s metal bands such as Mötley Crüe, Slayer, Metallica, Queensrÿche, Iron Maiden, Pantera, Tool, and so on. The great era of when guitar players were full of face melting solos and every song was guitar masterpiece filled with super technical guitar work. He still watches "That Metal Show" on a weekly basis! After realizing that making music and playing guitar was his passion, he began to showcase his talent in various bands throughout Pennsylvania, playing at numerous gigs. He was quickly recognized for his unique note for note style that he tries to bring to every song. 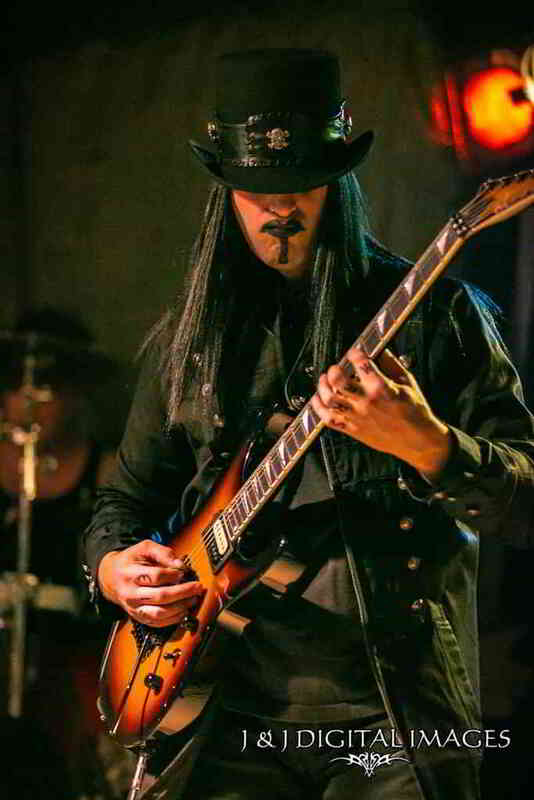 “When I play a song I want to play it exactly like the original artist does, I watch video and completely study the artist to give the crowd the closest musical experience to what they play” His biggest guitar player influences in life include Mick Mars, Kirk Hammett, Adam Jones, Dave Murray, Michael Wilton, Alexi Leiho, Doug Aldridge, John 5, and CC Deville. Allen is proudly endorsed by Splawn Amplification. 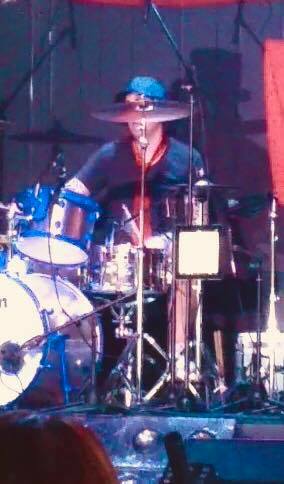 Tommy G, Not only is he an incredibly talented and explosive drummer, he is also multi talented to the point that he can make music from just about any instrument you hand him. You will be blown away with his performance!!! One of his first performances in costume was at Fakefest 2001 at the Star Lake Amphitheater in front of over 4000 screaming fans. After 10 years of playing KISS in DEUCE and numerous other KISS tributes up and down the east coast, he felt it was time for something different, he joined Dr Feelgood, a Mötley Crüe tribute. That band played for a year before splitting up, but Dave still had that passion… 3 years later he answered an ad on Craigslist for a bass player for a Mötley Crüe tribute and that wound up turning into the opportunity to introduce his fans to "LIVE WIRE". Dave enjoys what he does & it shows. “GO BIG OR GO HOME” is his motto. He still does a KISS show every once in while and even performs in an Eagles tribute. But LIVE WIRE will always be his "Home Sweet Home"! Billy Greer as "VINCE NEIL"
Billy started playing in an original/cover band called Arsenel in 1988. The first time he saw Crüe was on the Theatre of Pain tour in 85' when he was 13. 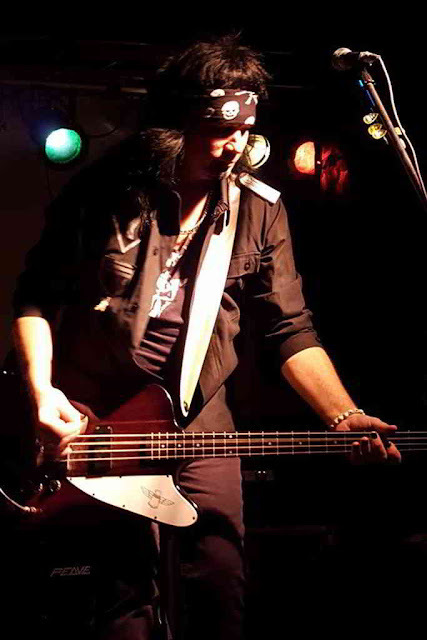 He is also the only original member of DEUCE, the longest running Kiss tribute band in the U.S., which was formed in 1995. He has played numerous states as far away as Wisconsin. With DEUCE, he's had the opportunity to play at prestigious Pittsburgh venues like The Star Lake Ampitheater and Heinz Field. His influences are Kiss, Crüe and Queensryche. His favorite guitar player is George Lynch. He has 3 kids, Madison, Emily and Michael. He loves his super supportive girlfriend Rhonda and he is ready to blow everyone away as Vince! Live Wire would like to send special thanks to Main Street Music & Sound in Irwin, Pa for all their continued support and for keeping us sounding our very best. If you are in a band or just a music enthusiast than you definitely need to stop in and check this place out. Some of the most knowledgeable staff that goes the extra mile for all of their customers. They specialize in everything from super high end boutique pro level gear to beginner and starter gear at affordable prices. Electric guitars, basses, drums, pianos, keyboards, trumpets, saxes, flutes, clarinets, violins, PA systems, microphones, software, accessories, equipment rentals and so on. Specials thanks again from Live Wire, The #1 Motley Crue Tribute Band! Check out their WEBSITE at www.MainStMusic.com & their FACEBOOK PAGE at www.facebook.com/MainStreetMusicAndSound! Live Wire wants to thank In Tune Guitar Picks for helping us to create absolutely picture perfect custom picks that our fans love to collect. Their picks are top quality and our designs look terrific on the finished products! It's easy to see why Tony Iommi from Black Sabbath uses them! Live Wire wishes to thank Inzane Decals for making our guitars look spectacular with their easy to use custom designs! Their process makes it simple to have amazing images without the huge price tags that airbrushing or painting would have incurred.